Our Director, Assistant Director, Recreation Supervisor, Marketing Coordinator and Secretary are located at our main office location. Here, you can reserve shelters, rent the Admiral Coontz Recreation Center, rent boat slips, register for programs and get general Hannibal Parks & Recreation information. Call (573) 221-0154 to check availability first. The Hannibal community is building a Veterans Memorial at Cardiff Hill Overlook, allowing a beautiful view of the Mississippi River. 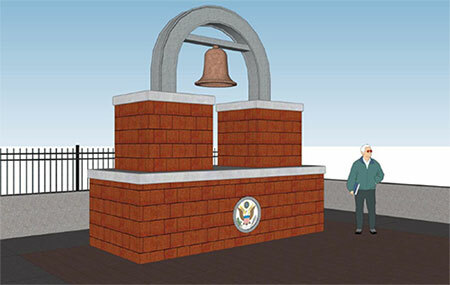 The pathway to the memorial will consist of bricks that honor veterans from all branches of service, living or deceased. The bell from the U.S.S. Hannibal, which is now in Kiwanis Park, will be displayed at the top of the memorial. The U.S.S. Hannibal ship was built in 1898 and used in Spanish-American War, World Wars I and II. The ship was decommissioned in 1944 and the U.S. Navy sent the bell to the city of Hannibal. 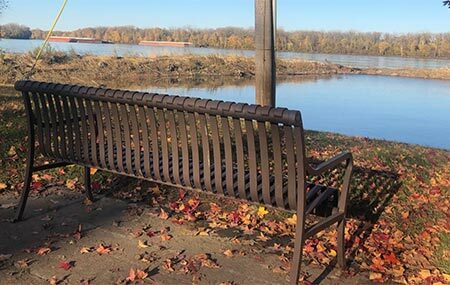 Be a part of Hannibal's Historic Riverfront by adopting a bench for the Hannibal Parks & Recreation Department. It's a lifetime honor for your loved ones, organization or business.